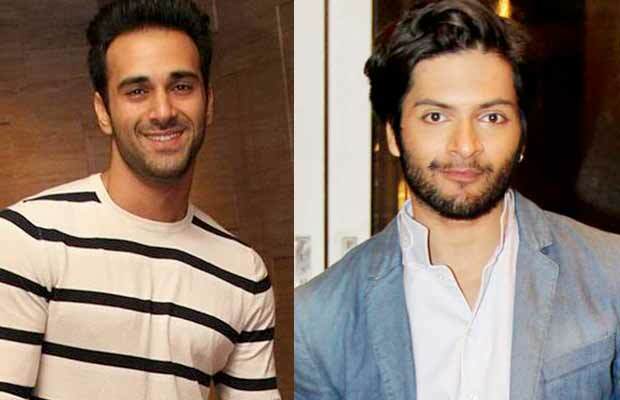 Cold War Between Fukrey Returns Stars Pulkit Samrat And Ali Fazal? Home BOLLYWOOD Cold War Between Fukrey Returns Stars Pulkit Samrat And Ali Fazal? Reportedly, the actors of Fukrey Returns, Pulkit Samrat and Ali Fazal do not like each other! The comedy film Fukrey Returns is doing very well in the cinemas. The film has received appreciation from both the audience and as well as the critics. Starring the actors Pulkit Samrat, Ali Fazal, Richa Chadda, Varun Sharma and Manjot Singh, the film is a perfect package of entertainment. But amid such great performance, there are reports doing the rounds of media about the rift between the two actors of the film. According to a report of DNA, the actors Pulkit and Ali do not like to see each other eye to eye. Reportedly, Pulkit’s attitude of trying to steal the limelight everywhere is something that Ali does not like at all. It was also very recent that Ali had almost created a very awkward situation for Pulkit. He had invited the latter’s ex-wife Shweta Rohira at the screening of Fukrey Returns. But luckily for Pulkit, she was out of town. And hence could not come to attend the screening. Talking about the film, Fukrey Returns had a superb weekend. The film collected around Rs 32 crore at the box-office and is still going strong in the theatres. Next articleNeeraj Pandey Explains What Does Aiyaary Mean!